Johnny Cash, The Man in Black as he’s been known for years was often ahead of the curve. An addition to all of his other musical achievements, he was a trailblazer. I think that’s important to keep in mind when considering the release Johnny Cash Remixed. People often have mixed feeling about remixes, especially when we’re talking about the work of a deceased legend. In this case I’d bet Johnny would have been on board with this project. A baker’s dozen of Johnny Cash tunes remixed by a variety of artists make up this release. The highlights for me are Walk The Line which features the perpetually interesting and entertaining Snoop Dogg, Country Boy, Leave That Junk Alone, and Folsom Prison Blues. All of the tracks from this project are from the work Johnny recorded in his early Sun Studio days. In addition to working on the lead track, Snoop Dogg is an executive producer and heavily involved with this released. John Carter Cash, Johnny’s son was also involved with this project every step of the way, giving it some official family lineage. My take on this release is that it’s like hearing some of Johnny’s work with a new filter on it. The classic elements are there, now they’re augmented and re-imagined by contemporary artists who each add their own spin to theses tunes. I’d guess that somewhere Johnny Cash is smiling with the knowledge that so many contemporary producers and artists chose to be involved in an album that serves as a unique tribute to the man himself. 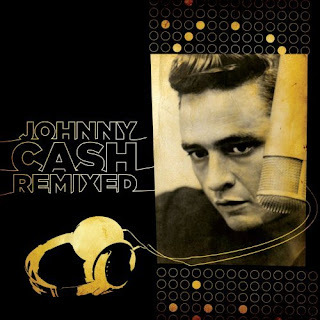 If you like Johnny Cash and want to hear a fresh approach to some of his classics, Johnny Cash Remixed is a pretty fascinating listen.